Habitat - Sandy open ground, sandy woods, sandhills, dry hammocks, roadsides, old fields, pine barrens. 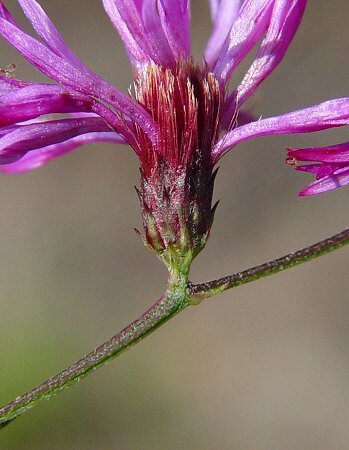 Other information - This striking species can be found mainly in the southern half of Alabama. 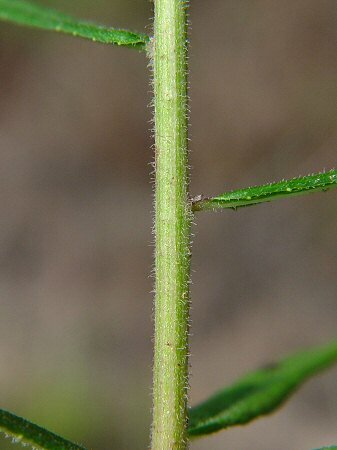 The plant is easy to identify becasue of its linear leaves, pubescent stems and acute phyllaries. 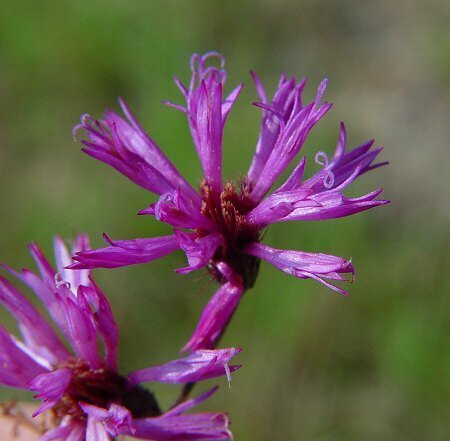 Although the plant is commonly called "Tall Ironweed" it only grows to about 1.2m tall. 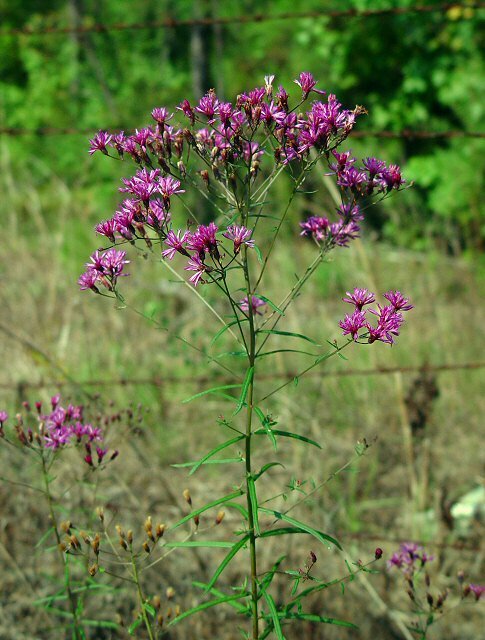 Other species of Vernonia get much taller. The genus is named for William Vernon (16? - 1711). Vernon was an English botanist who studied plants in North America. 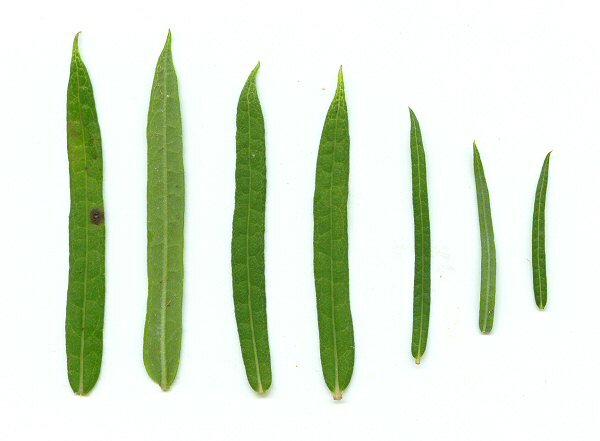 The species epithet angustifolia derives from the Latin "angust(i)" meaning "narrow" and "foli" meaning "a leaf." Photographs taken off Lee Rd 54, Lee County, AL., 8-30-04.